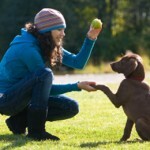 Home » Planning » Which Dog Trainer Should I Choose? Now-a-days, it is as easy to find a dog trainer, as it is to find a McDonald’s. They’re everywhere and the number of dog behavior related professionals keeps growing. We can find Facebook pages, websites, ads on the local newspaper and several business cards being displayed at veterinary clinics and hospitals. Since the prevalence of behavioral problems in dogs seems to be increasing, this could be a good thing. When the demand increases, so should the offer. 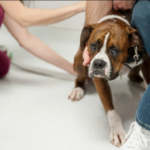 However, the problem lies on the lack of legislation and certification when it comes to animal behavior professionals. Dog training isn’t a regulated profession. Legally, it doesn’t exist. As a consequence, anyone can wake up in the morning and decide to start working as a dog trainer; no one will force you to study, to become a certified professional or to be evaluated. And, unfortunately, most dog trainers aren’t adequately educated professionals and base their methods on outdated ideas and myths. So the first thing you should decide is if you should train at home or away. 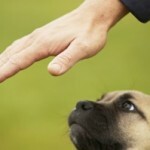 Our article called Dog Obedience Training at Home or Doggy School: Which is best? is suggested reading as well. Trainers who use or promote the dominance theory. When talking to the trainer, he may use the following terms: “dominant”, “alpha”, “pack leader” or “submissive”. These trainers will base their methods on aversive techniques and will try to “make your dog respect you as the pack leader”. These techniques are based on fear and on suppressing communicative signals and, as a consequence, should be avoided. Professionals who use shock, pinch or choke collars. If a particular trainer recommends the use of these collars, you need to keep searching. There’s no valid excuse to cause pain and physical discomfort to dogs, not even in the name of training! Trainers with no formal education on dog training and behavior. When choosing a trainer, make sure you always ask for his/her education. 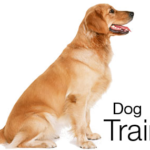 If the trainer fails to give you that information on mentions unclear terms such as “several seminars and courses on dog training”, keep looking. This also applies to professionals who had participated on seminars (or courses, workshops, etc.) that focused on aversive training techniques. Trainers who won’t use food for training. Food is a wonderful resource; for most dogs, it can be used as a powerful reinforcement! Since dogs have to eat everyday, why not use it in a more useful way? If a particular trainer refuses to use food, that’s not the right person for you. Trainers who call themselves “positive” but keep yelling “Shhhhh!” during the training session. These are not positive trainers! Don’t be afraid to be demanding and to look for the best. If you choose a bad professional, he may worsen your dog’s behavioral problems. Make sure you get a truly positive, certified and ethical dog trainer. There are plenty out there, we just need to look for them! «I’m Pregnant… How Do I Tell My Dog?